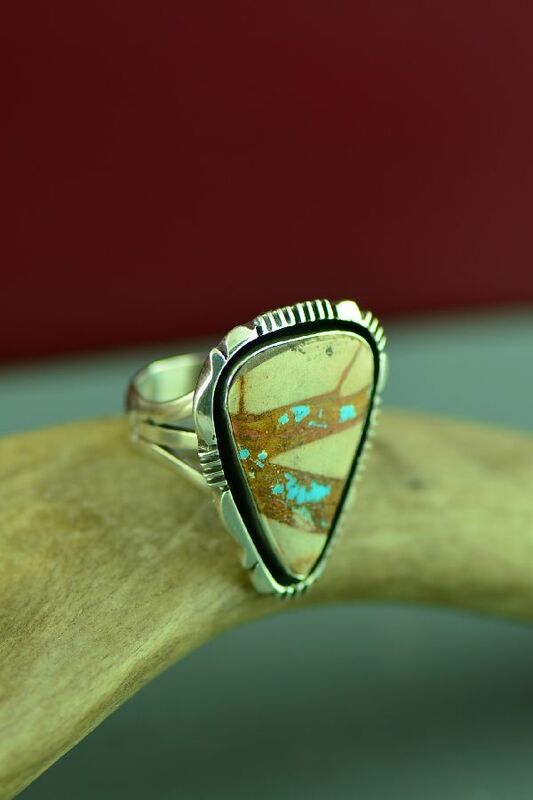 This beautiful sterling silver Blue Ribbon Turquoise ring is handcrafted by Will Denetdale, Navajo. 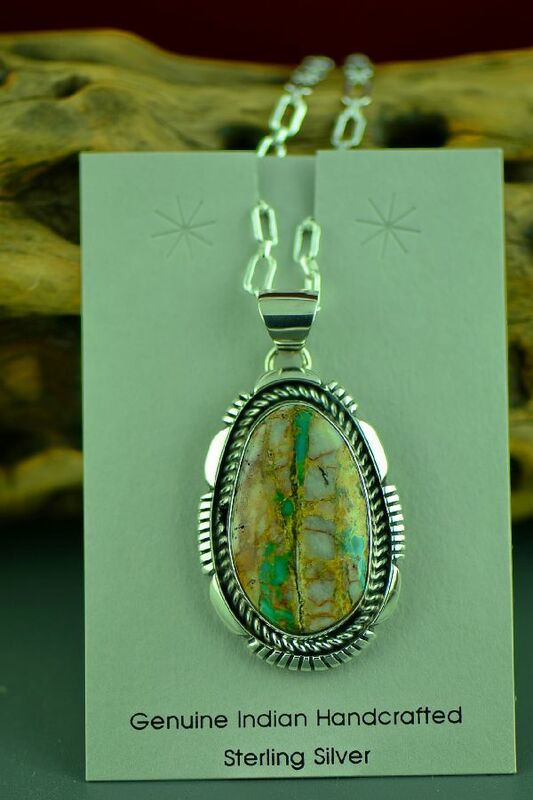 The artist has selected a wonderful Blue Ribbon Turquoise stone to create this piece of art. 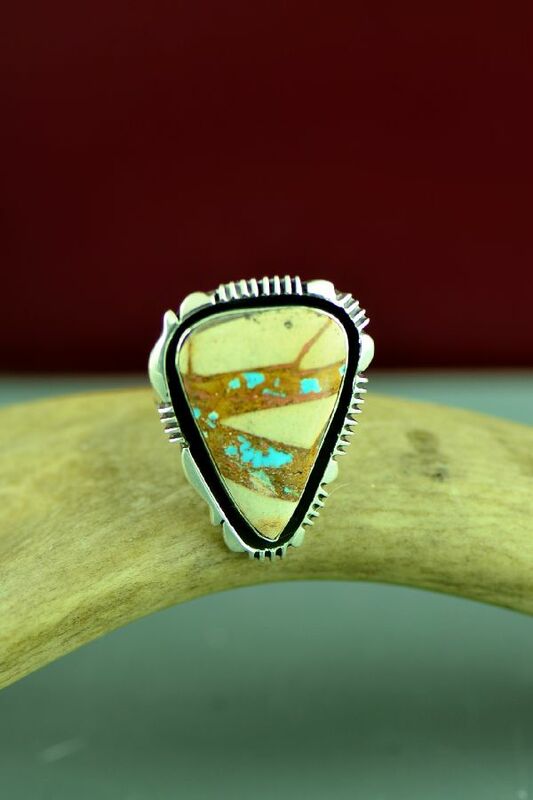 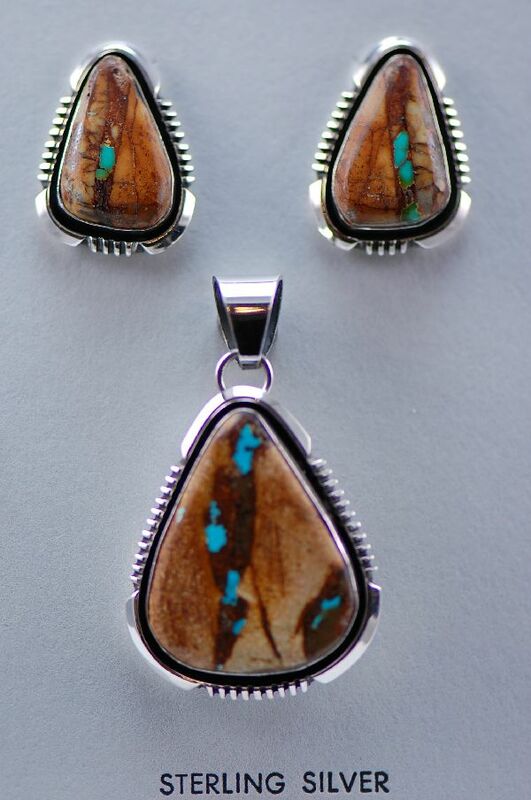 The Blue Ribbon Turquoise stone measures 1-1/2” tall by 7/8” wide and is set in a smooth bezel surrounded by the distinctive style of silver work that Will is known for. 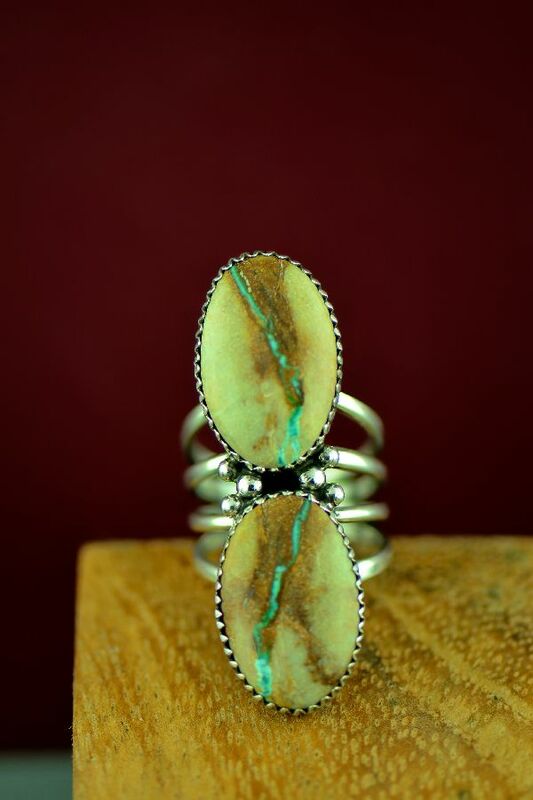 The top of the ring measures 1-3/4” tall by 1-1/4” wide. 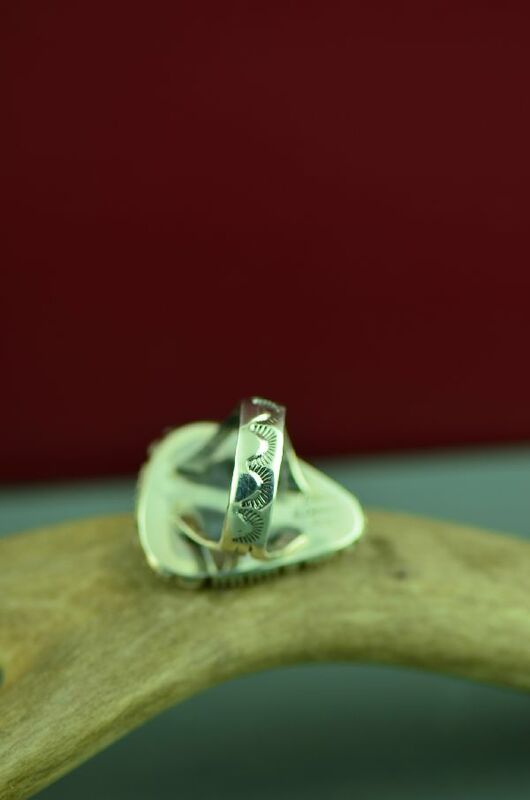 The artist has also hand stamped the shank of the ring to give it a unique look. 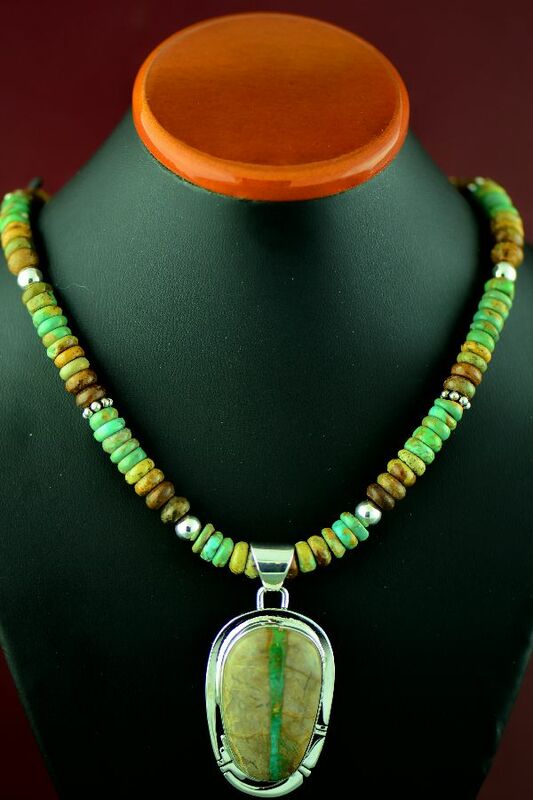 This is a size 9 and can be sized larger or smaller for an additional cost of $38.00.